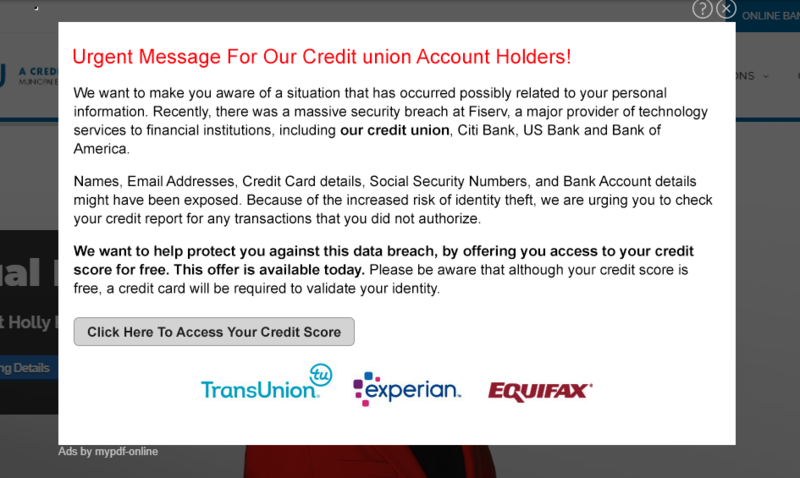 ME/CU wants you to be careful with your personal and account information online. If you see strange pop-ups (like the one to the right), ads or requests while visiting the Me/Cu web site our checking your online account, do not click on them. Call Me/Cu immediately and report it. It’s also good practice to have a reputable anti-virus and malware software on your computer. Keep your information safe and secure.